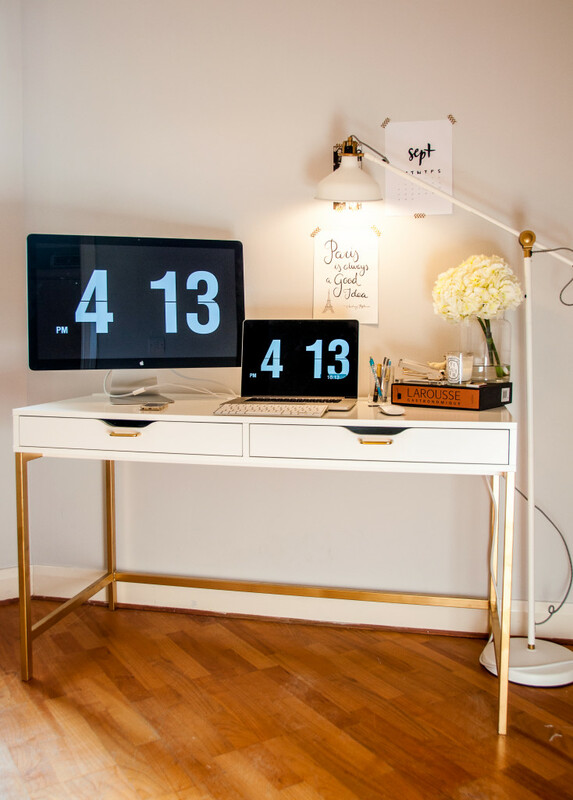 I was browsing Pinterest yesterday after recalling a DIY desk project that I saw a little while back. I've been thinking about my room at home a lot lately. I got rid of my desk about a year or two ago because I just wasn't using it and it was taking up too much space. I've realized now that I might like having a small desk in my room to be able to blog at while I am home. On my Pinterest search I found so many amazing DIYs that involved Ikea products that I just had to share them with all of you. How perfect are these "built ins"? I'm obsessed with how these were placed together to look like they were custom made for the wall. 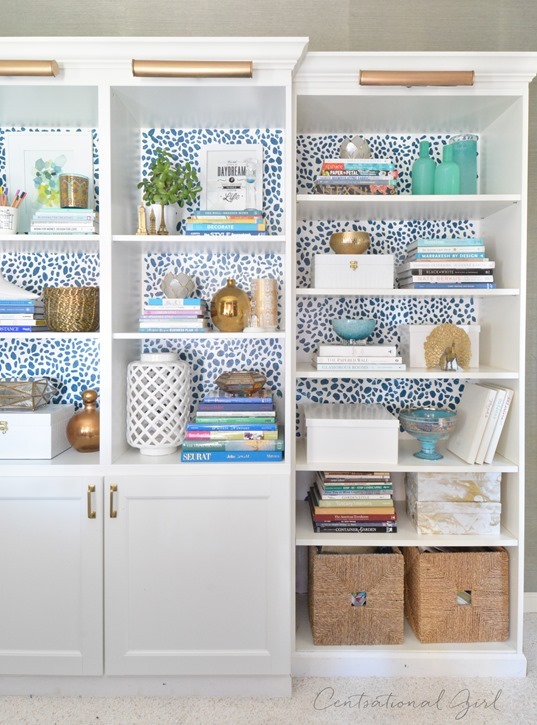 I am now dying to try something similar with a wall in my bedroom that currently houses my dresser. I feel like if I did something similar with more closed storage I could easily remove my dresser and store my clothes from there in baskets on the shelves and have a nice area for a TV! I also love the addition of the picture lights to the top of the bookshelves! Can I just start off by saying this table easily looks like it could be $500+? The table itself from Ikea retails for around $60! 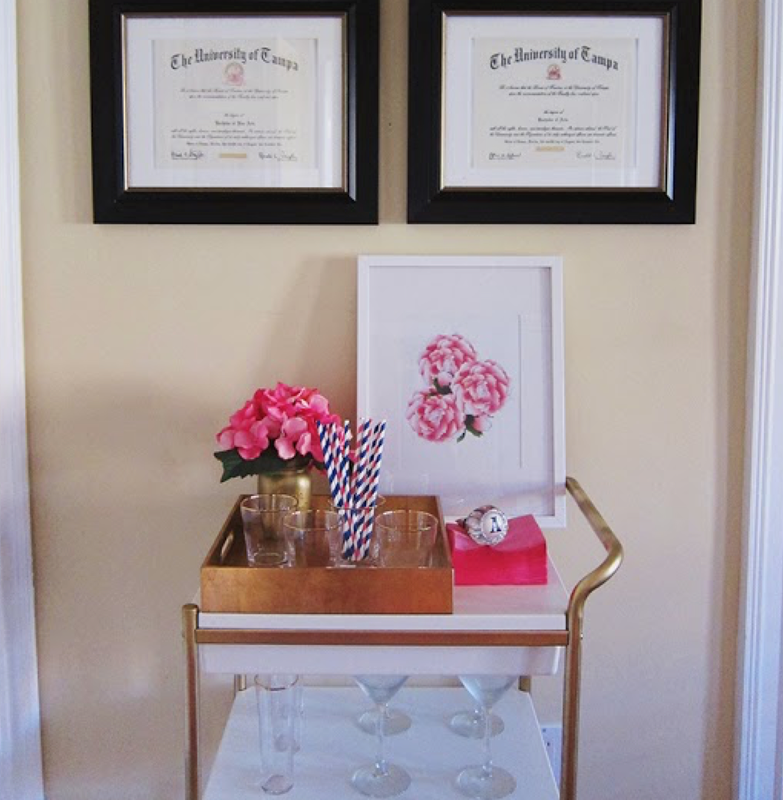 It's so easy to buy gold spray paint and cover the frame that this hack is so worth it. This isn't the desk I was originally looking for when I logged onto pinterest, but I really love it. It's perfect for me since it is pretty small and doesn't have too much storage (I don't need a lot). Clearly I'm obsessed with the gold additions, I think because it gives the piece a more expensive look. Honestly, this DIY is so easy because all you need to do is spray paint and add some handles! I love how just some cork board, tape, and paint took these frames and turned them into really interesting cork boards! The average cork board can really dull up an otherwise exciting office space. These keep everything exciting and fun with the stripe pattern. My obsession with this DIY is maybe a little too high. Bar carts are so popular. You can find them at a ton of different retailers usually priced upwards of $100. However, Ikea sells a "utility" cart for just $29.99!!! With a touch of spray paint to the framing and it looks just like the ones sold at Target or Society Social. The major plus about this one is that it's a little smaller than most bar carts which makes it ideal for smaller places like apartments, and even dorm rooms (if yours is spacious enough). These DIYs have got me looking forward to this summer when I can hopefully try some of them out for my room at home. 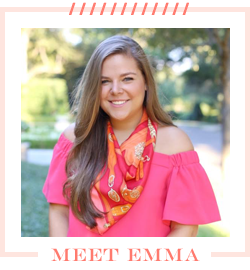 They've also gotten me excited already to be living in an apartment my Junior year (still have another year of living on campus). I can't wait to be able to decorate with some more space! I love Ikea! I am pretty much obsessed with all their home decor. 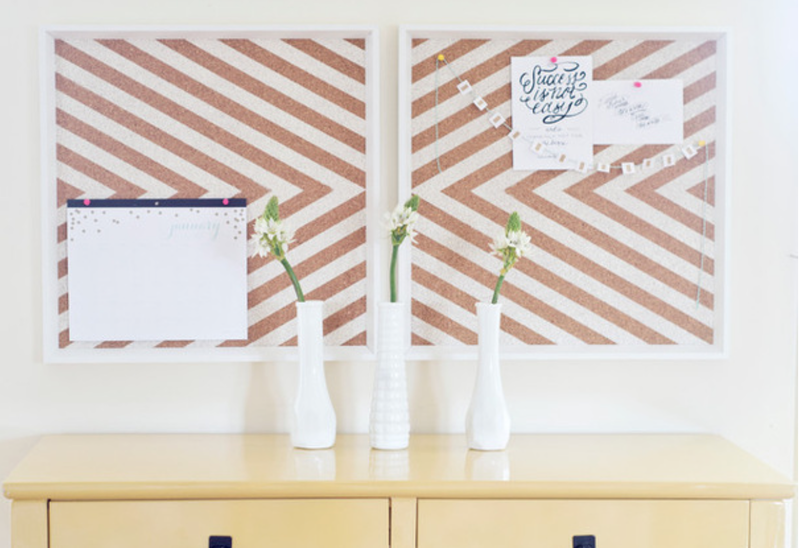 I love the striped cork board idea. I had to pin that coffee table to my pinterest living room board! I am moving in july and i have made it my mission to redecorate my apartment! 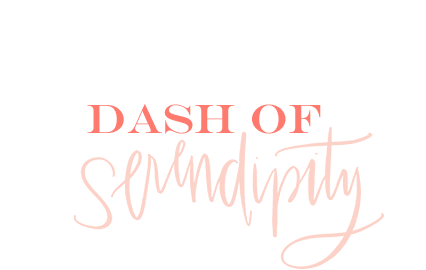 I love your blog by the way- I'm a new reader but I'm hooked!